NextWhy is FileRight a good idea? Need help navigating the US immigration process? It can be difficult and frustrating to apply for a change in immigration status. With a confusing maze of forms and eligibility requirements, it’s no wonder that millions of people have their applications rejected. Here are just some of the problems applicants commonly face in navigating through the bureaucracy. Learn how FileRight.com can help you find your way past those obstacles. Becoming a U.S. citizen is a long, complicated and, in many cases, expensive process. Darrell M. West, vice president and director of governance studies at the Brookings Institute, noted some of the difficulties regularly experienced by families working their way through the immigration system. He witnessed these challenges firsthand when his German-born wife applied for citizenship. With FileRight.com, you can minimize the expenses involved in gaining citizenship and prevent costly errors. 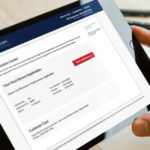 FileRight’s online software will check your eligibility, guide you through completing the necessary forms and double-check to ensure you don’t miss anything along the way. If you are already a citizen, you can also fill out requests for important documents, such as a Certificate of Citizenship or Replacement Certificate of Naturalization. Applying for permanent resident status, indicated by a green card, also comes with plenty of pitfalls. As the American Immigration Council explained, there are four major ways to obtain a permanent resident identification card: employment, family relationships or refugee processing. It is important for applicants to understand the necessary documentation, yearly limits on issuing new cards and other potential concerns they may encounter on their particular routes to permanent residency. That’s where FileRight comes in. The software will help current visa holders apply for green cards and permanent residents renew or request replacements for their cards. If you are a citizen or permanent resident, you can also file a petition for a relative to receive his or her own identification card. A conditional resident with a two-year green card based on marriage can file to receive a non-conditional 10-year card. Whatever your specific needs, FileRight stays up to date with government requirements and provides you with the correct forms as part of a complete filing package. Even if you are not applying for citizenship or permanent resident status, immigration procedures can be confusing, especially as they continue to change. Department of State press officer Armando V. Cucinello III explained in Time magazine that there are ongoing efforts to improve the visa application system. These new measures, however, are oriented to enhance security, not make the system any easier for regular people to manage. FileRight offers assistance with finding the right form for your needs and applying for various types of visas and travel documents. You can request a reentry permit, refugee travel document or permission to travel abroad and then return without damaging your immigration status. FileRight also provides the paperwork to file an affidavit of support if you are a citizen or permanent resident and want to sponsor another person’s visa. Don’t let your future be jeopardized by a mistake in paperwork. Use FileRight.com to apply for your new immigration status. Remember, FileRight guarantees that if you are dissatisfied with its services, your money will be refunded. Moreover, the company will even reimburse your filing fees if your application is denied by the USCIS.